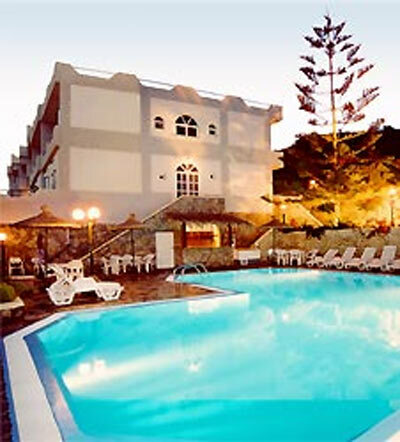 On the beautiful island of Santorini, next to the sea 50 meters from the beach, in the beautiful village of "Exo Gialos", you can find lies the traditional hotel PORTO CASTELLO. The village is 2 km from the capital of the island, Fira. The hotel has 42 rooms, all with balcony, private bathroom, direct dial phone, Satellite TV, A/C & refrigerator. Most of the rooms have a view to the sea. We look forward to welcoming you. At our traditional hotel you can enjoy a relaxing vacation in peace and quiet. Porto Castello combines Greek hospitality, a family atmosphere & modern comforts.